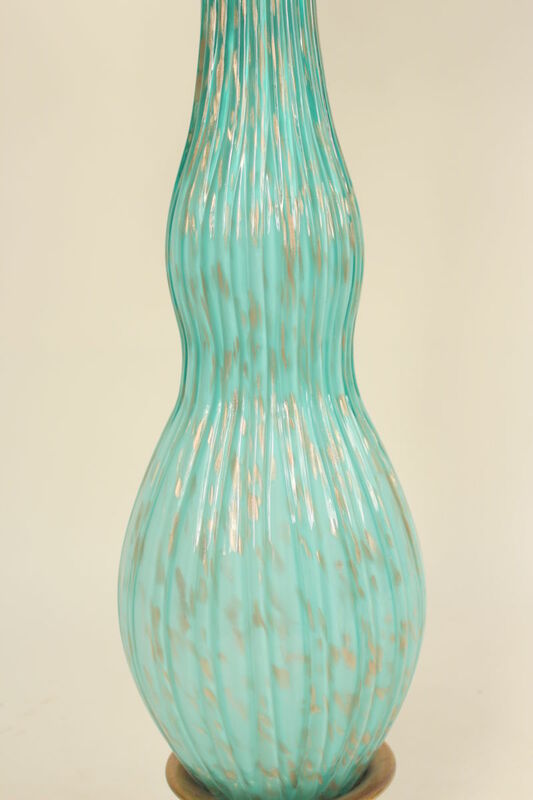 Mid century modern Italian (Murano?) 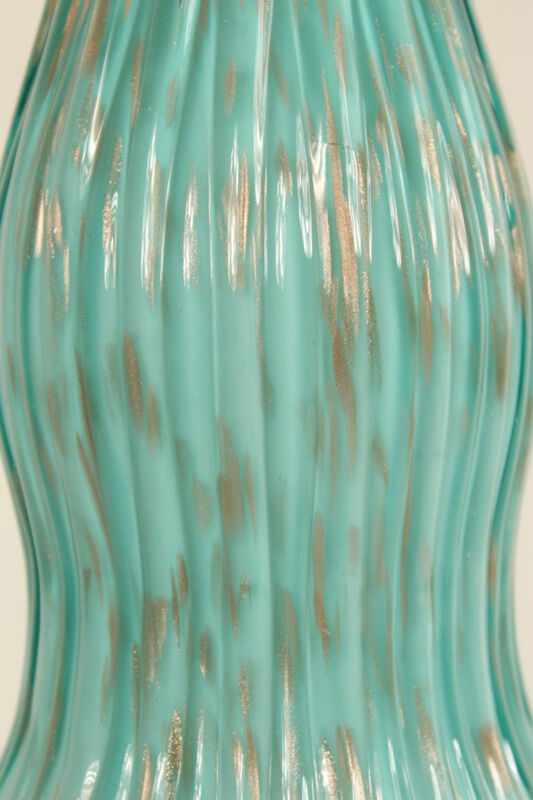 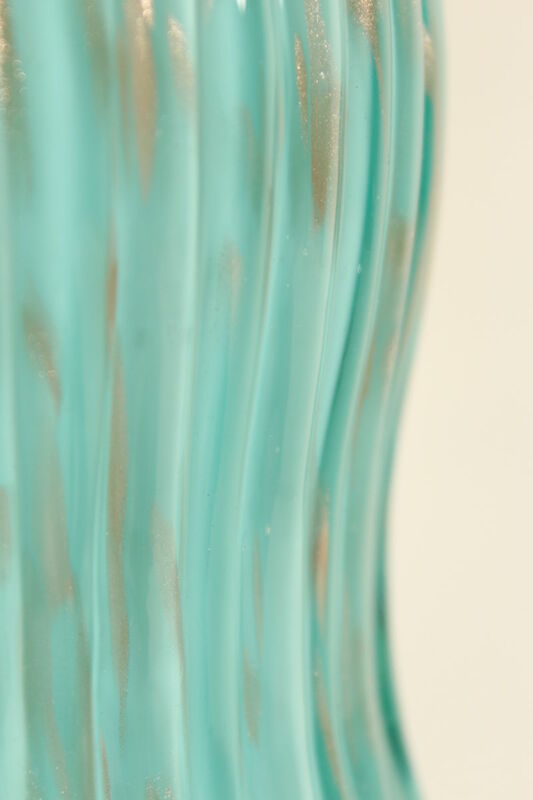 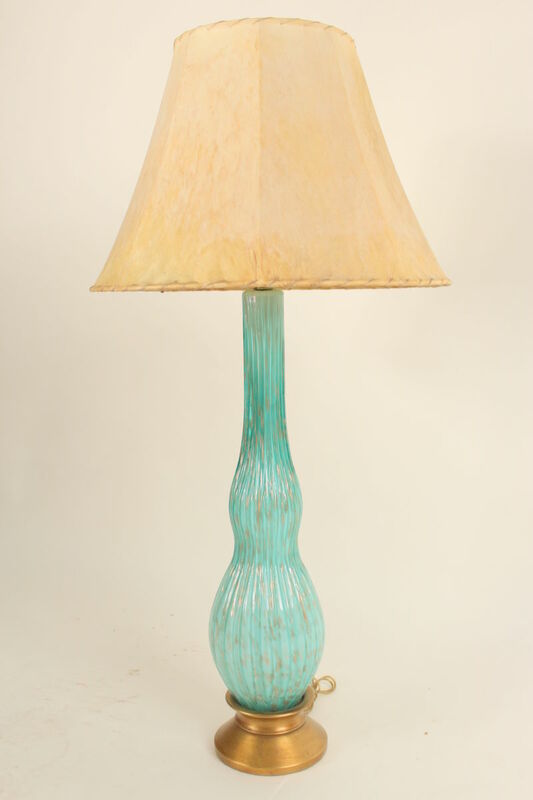 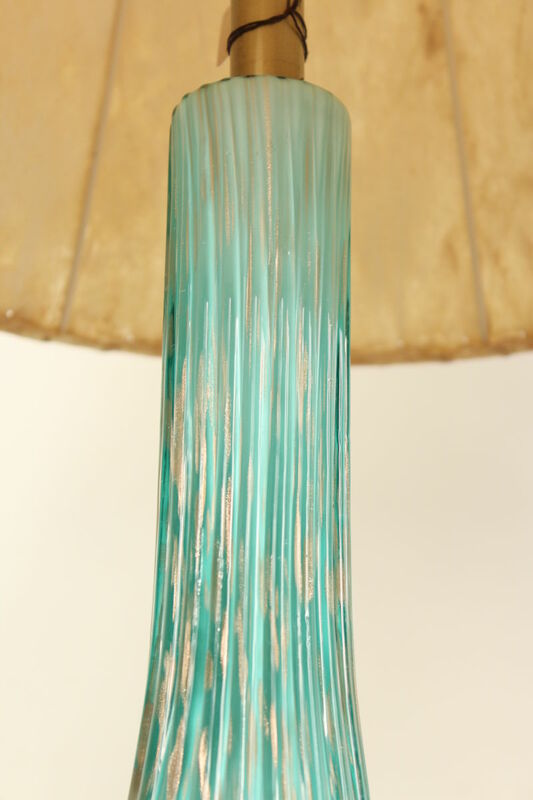 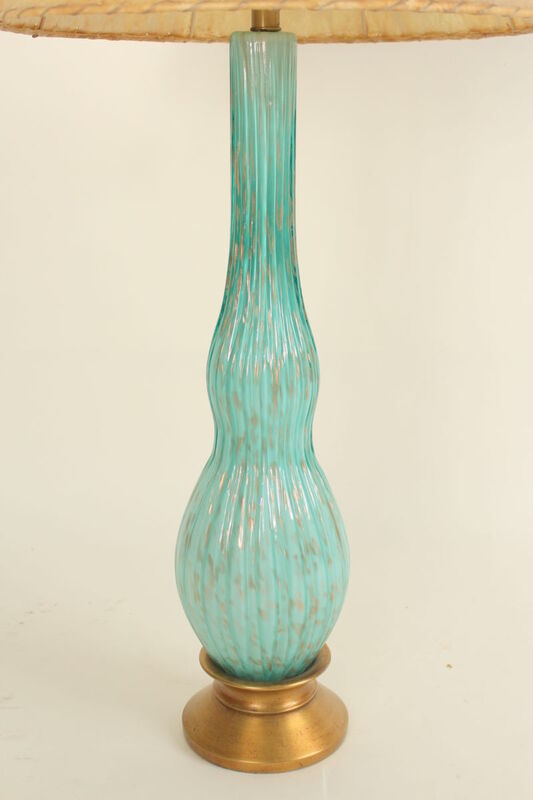 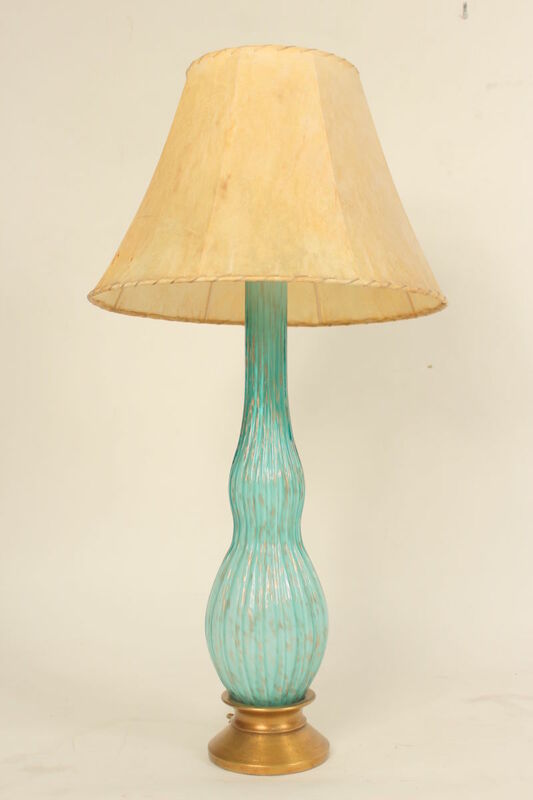 glass table lamp, circa 1960. 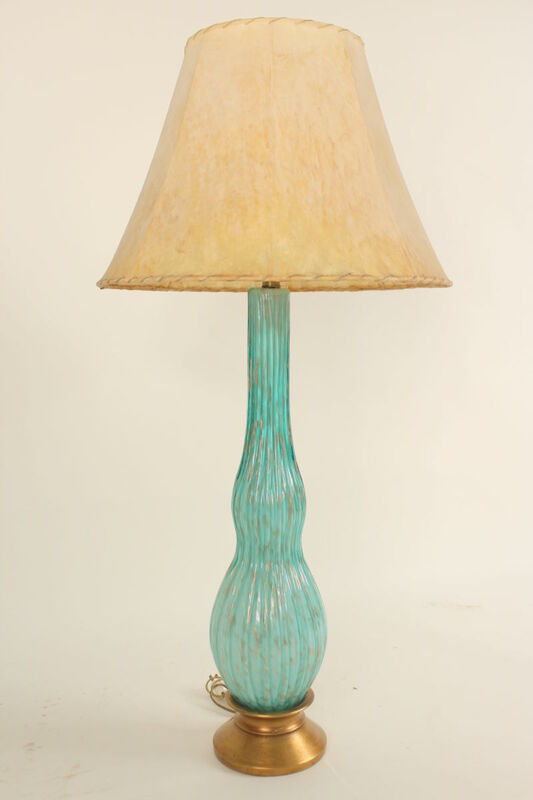 Height from base to beginning of electrical fittings 28″. 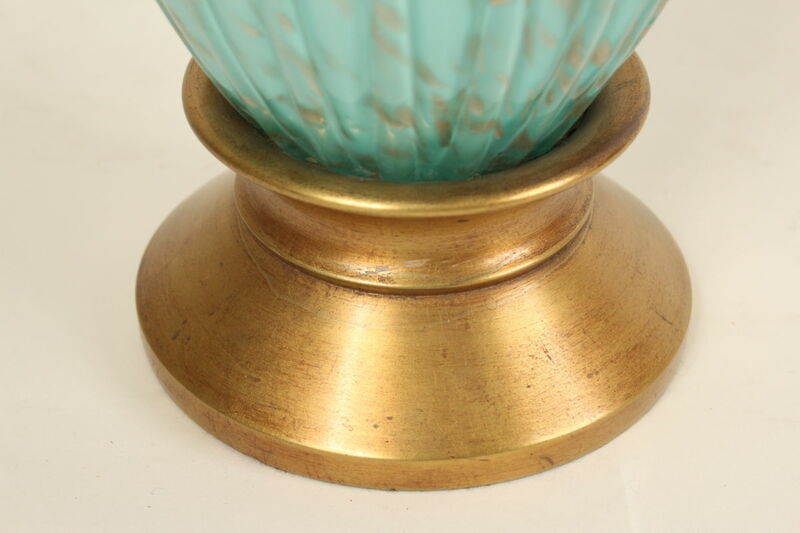 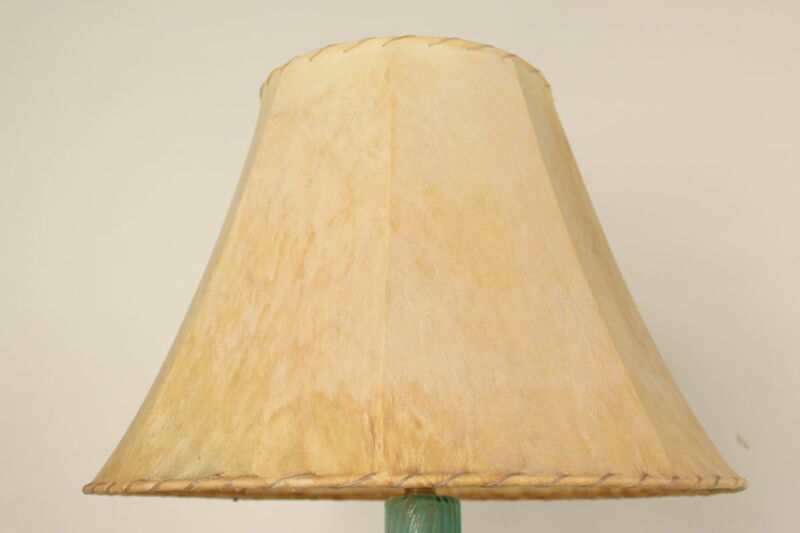 Height from base to top of lamp shade 39″.